Obersalzberg is a mountainside retreat situated above the market town of Berchtesgaden in Bavaria, Germany. Located about 120 kilometres (75 mi) southeast of Munich, close to the border with Austria, it is best known as the site of Adolf Hitler's former mountain residence, the Berghof, and of the mountaintop Kehlsteinhaus, popularly known in the English-speaking world as the "Eagle's Nest." All of the Nazi buildings (except the Kehlsteinhaus, which still exists and now serves as a restaurant and tourist attraction) were demolished in the 1950s but the relevant past of the area is the subject of the Dokumentationszentrum Obersalzberg museum which opened in 1999. The name of the settlement area derives from the rock salt deposits in the former Prince-Provostry of Berchtesgaden. Salt mining at Pherg is documented since the 12th century and a major salt mine opened in 1517. It was destroyed in 1834 but rebuilt and named the "Old Salt Works". The rectangular layout and some components still exist. The area was part of the provostry's eight localities (so-called Gnotschaften) mentioned in the first land register of 1456 and was ruled by the Augustinian abbey. From 1517 the Petersberg gallery was built, the first of the Berchtesgaden salt mines which became the economic base of the Prince-provostry. The area was annexed by Austria in 1805 and then ruled by France in 1809–1810. 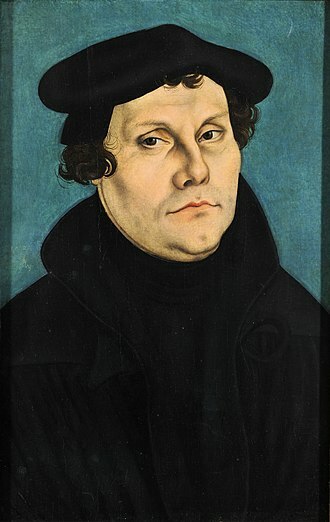 With Berchtesgaden it was secularised in 1803 and passed to the Kingdom of Bavaria in 1810. 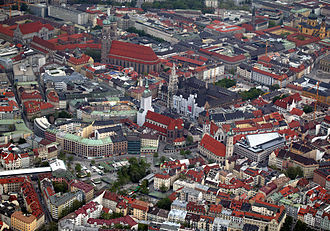 Salzberg was re-established as a Bavarian municipality in 1817. Plans by Nazi authorities to merge it with Berchtesgaden were not carried out and Salzberg was not incorporated into Berchtesgaden until 1972. It was the scene of the filming of The Sound of Music film's last scene where the von Trapps were escaping into what was thought to be Switzerland and to their freedom. In 1877 Mauritia Mayer, a pioneer in Alpine tourism, opened the Pension Moritz boarding house in Obersalzberg. In the late 19th century German intellectuals like Mayer's close friend Richard Voss, artists such as Clara Schumann, Johannes Brahms, Joseph Joachim, Peter Rosegger, Ludwig Ganghofer, Ludwig Knaus, and Franz von Lenbach as well as industrialists like Carl von Linde began using the area as both a summer and winter vacation retreat. The Obersalzberg boarding house was leased to the former racing driver Bruno Büchner in the early 1920s. When he acquired the property in 1928, he renamed it Platterhof inspired by Richard Voss' novel Zwei Menschen. 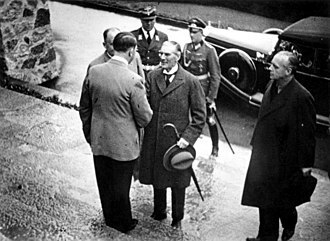 The scenic landscape and sweeping mountain views also attracted Adolf Hitler, who in 1923 visited his fellow party member and anti-semite, Dietrich Eckart at the Obersalzberg boarding house, shortly before the Beer Hall Putsch and his imprisonment at Landsberg. It was in a cabin on the premises where, after his release from custody in 1925, he dictated Part Two of Mein Kampf, which earned him large royalties. 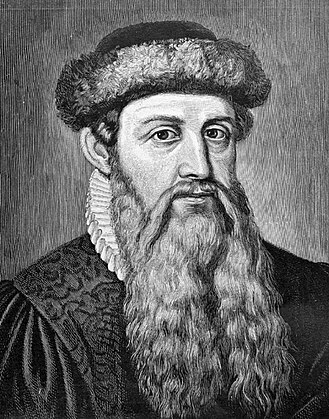 He became so fond of the area that by 1928 he began using his royalty income to rent a small chalet nearby called Haus Wachenfeld from the widow of a Buxtehude manufacturer. Hitler put his half-sister Angela Raubal in charge of the household, together with her daughter Geli. 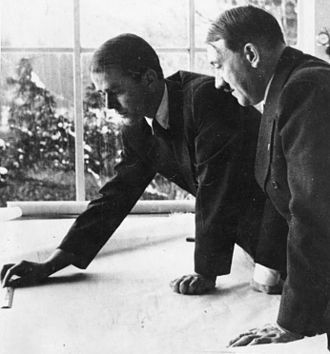 Several months after the Nazi seizure of power (Machtergreifung) in January 1933, Chancellor Hitler purchased Haus Wachenfeld and began making a series of three important renovations. The first included window shutters and a small office, followed a year later by a winter garden and stonework; finally the most extensive in 1935–1936 when the once modest chalet was finally transformed into the sprawling landhaus with a series of extensions, a bowling alley in the cellar, and a giant window that could be lowered to provide a panoramic view. The house became known as the Berghof or Mountain Court in English. 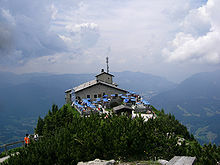 Among other buildings in the area was the Kehlsteinhaus ("the house on Kehlstein mountain", called the "Eagle's Nest" by English speakers) atop the summit of the Kehlstein, a rocky outcrop, that was used for Nazi Party meetings and to host dignitaries; the building had no beds. 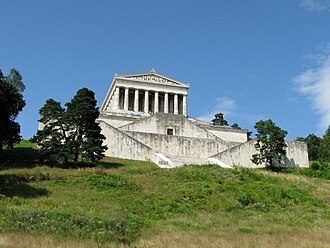 It was presented to Adolf Hitler in 1939, on his 50th birthday, but he only visited the site on 14 occasions, because of a fear of heights among the reasons; Eva Braun used it more frequently. 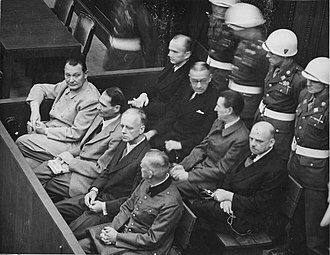 Around Hitler's home, several Nazi leaders such as Hermann Göring, Martin Bormann and Albert Speer acquired residences. 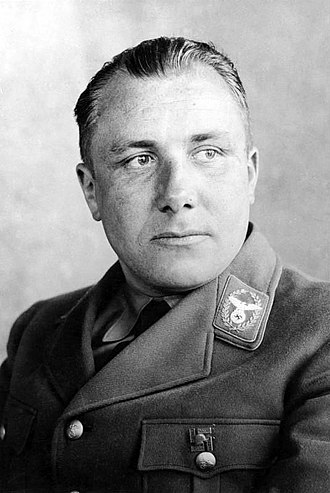 By 1935–36 Party Secretary Bormann had all residents of Obersalzberg either bought out or evicted, and the area evolved into a retreat for high-level Nazis with a cinema, a school for young children, an SS barracks, and an underground shooting range. Most of the original buildings were demolished. The Berghof became something of a German tourist attraction during the mid-1930s. This led to the introduction of severe restrictions on access to the area and other security measures. 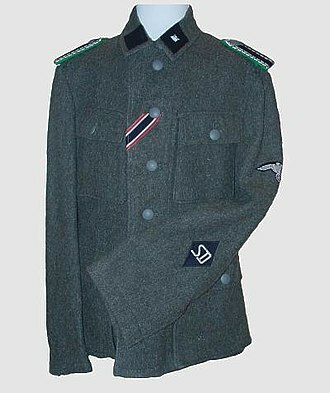 A large contingent of the SS Leibstandarte Adolf Hitler were housed in barracks adjacent to the Berghof. 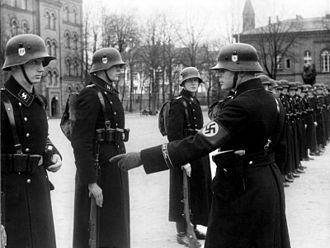 Under the command of Obersturmbannführer Bernhard Frank, they patrolled an extensive cordoned security zone that encompassed the nearby homes of the other Nazi leaders. The Obersalzberg comprised three security zones. The so-called Führersperrgebiet ("the Führer's autonomous area") shielded Hitler and his staff from public access. Two other security zones protected the heavily expanded SS and SD barracks, support staff, guest houses, underground bunkers, and air raid shelters. In 1938 Bormann also had the Kehlsteinhaus lodge erected on a rocky promontory, including a lift system from the upper end of the access road. 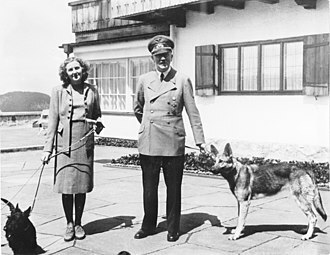 Hitler seldom visited it, though he and his mistress Eva Braun spent much time at Obersalzberg. 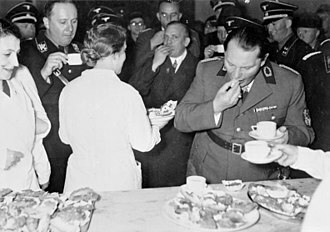 From 1937 the German Reich Chancellery maintained a second seat in the nearby village of Bischofswiesen with Hitler receiving numerous guests of state at the Berghof. With the outbreak of war extensive anti-aircraft defences were installed, including smoke generating machines to conceal the Berghof complex from hostile aircraft. Further, the nearby former Hotel zum Türken was turned into quarters to house the Reichssicherheitsdienst (RSD) SS security men who patrolled the grounds of the Berghof. Several Heer mountain troop units were also housed nearby. Hence, the British never planned a direct attack on the compound. Hitler spent much of August 1939 at the Berghof, making final plans for the invasion of Poland. In 1941, he transformed the Obersalzberg into the alpine fortress where he had originally intended to make his final stand. 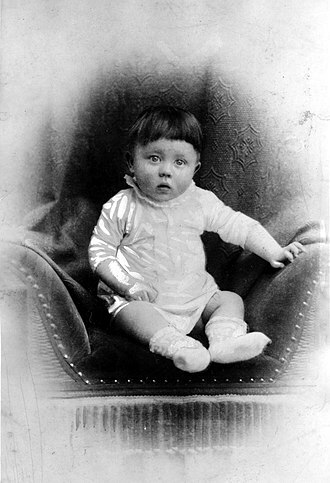 Hitler's last known visit was on 14 July 1944. The premises – except for the Kehlsteinhaus – were heavily damaged by an Allied air raid on 25 April 1945. On 4 May, four days after Hitler's suicide in Berlin, retreating SS troops set fire to the villa as Hitler had previously ordered. Only hours later, the U.S. 3rd Infantry Division arrived at Berchtesgaden along with the French 2nd Armoured Division. 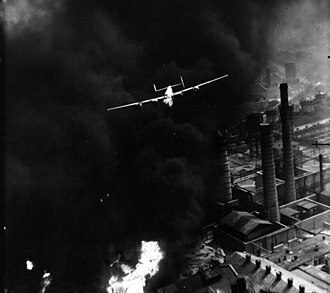 The Obersalzberg was placed under U.S. administration. At the time, the Berghof still contained destroyed paintings, evening gowns, medical equipment, and a wine cellar. The house was stripped and looted by Americans. The Berghof's shell survived and had been attracting tourists until 1952 when the Bavarian government decided to demolish the buildings so they would not become a Nazi shrine. On 30 April, the Berghof, the houses of Göring and Bormann, the SS barracks, the Kampfhäusl, and the teahouse were all destroyed. In total, over 50 Obersalzeberg Nazi buildings were destroyed. The Platterhof, which had been a hostel for visitors to the area, was not destroyed since it had been turned into the General Walker Hotel for US troops after the war. It was demolished in 2001. The nearby Hotel zum Türken, often used by the SS, later occupied by Hitler's bodyguard, and then the Generalmajor of the Police, was badly damaged in 1945. It was rebuilt in 1950 and reopened as a hotel before Christmas. The nearby Dokumentationszentrum Obersalzberg museum, opened in 1999, provides historical information on the use of the mountainside retreat during the war, and about the history of National Socialism; visitors can tour the bunker complex. 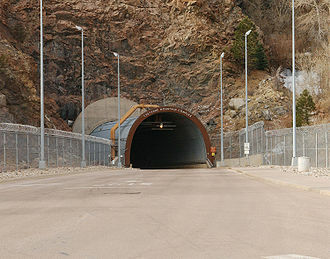 (Access to the bunkers was closed for construction in September 2017 and remained closed in July 2018 "until further notice".) The museum is operated by the Institut für Zeitgeschichte (Institute of Contemporary History ). In 1995, the entire area was returned to the Bavarian state government that facilitated the erection of a hotel (operated by the InterContinental Hotels Group, which opened in 2005. Since May 2015, the InterContinental hotel has been renamed the Kempinski Hotel Berchtesgaden. Other tourist draws are the Königssee, the salt mine where visitors can tour the pumping hall, some underground tunnels and the museum. The Kehlsteinhaus (Eagle's Nest) is open seasonally as a restaurant. During one of the bus trips to the restaurant, visitors can see the ruins of some Third Reich buildings. ^ Compare: Wilson, James (2014). Hitler's Alpine Headquarters. Pen and Sword. p. 205. ISBN 9781473831872. Retrieved 2016-03-28. 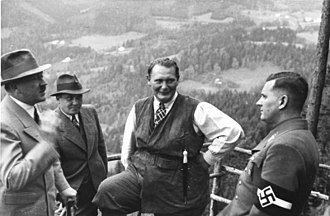 On 18 October 1938, the French Ambassador, André François-Poncet visited the Kehlsteinhaus, while later commenting on the experience he used the term 'Eagle's Nest' in his description of the event, in doing so he coined a new name for the building, a name that has been used ever since. 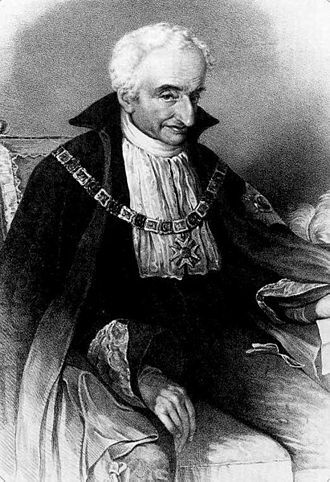 ^ Schneider, H.-J. (6 December 2012). "Mineral Deposits of the Alps and of the Alpine Epoch in Europe: Proceedings of the IV. ISMIDA Berchtesgaden, October 4–10, 1981". Springer Science & Business Media – via Google Books. ^ a b "The Old Salt Works". Berchtesgadener Land Tourismus. ^ a b c d e Ryback, Timothy W. (1 April 2005). "The Hitler Shrine". ^ Yannes, James A. (1 June 2013). "The Encyclopedia of Third Reich Tableware". Trafford Publishing – via Google Books. ^ "Berge, Bobsleigh and Boats The Insiders' Guide to Berchtesgaden & The Bavarian Alps". Yvonne Salisbury – via Google Books. ^ Speer, Albert (1995). Inside the Third Reich. London: Weidenfeld & Nicolson. pp. 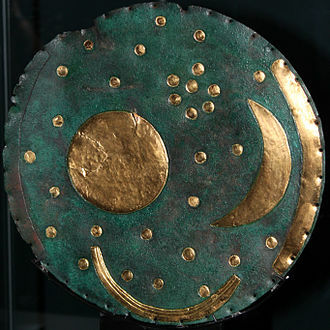 134–137. ISBN 9781842127353. ^ Felton, Mark (4 August 2014). "Guarding Hitler: The Secret World of the Fuhrer". Pen and Sword – via Google Books. ^ "Veterans History Project: Interview with Herman Finnell". Library of Congress. 26 October 2011. ^ WTVC NewsChannel 9 (5 June 2014). "The Price of Freedom: World War II Veteran Herman Finnell" – via YouTube. ^ "Dokumentation Obersalzberg: Obersalzberg between 1945 and today". Institute of Contemporary History. Retrieved 19 February 2016. ^ Philpott, Colin (30 June 2016). "Relics of the Reich: The Buildings The Nazis Left Behind". Pen and Sword – via Google Books. ^ "Dokumentation Obersalzberg: News". www.obersalzberg.de. ^ "Dokumentation Obersalzberg: Home". www.obersalzberg.de. ^ "Dokumentation Obersalzberg, Annual Report 2008 (in German)" (PDF). ^ "Dokumentation Obersalzberg near Berchtesgaden - City, country and culture in Bavaria". ^ "Berchtesgaden National Park Area". Berchtesgadener Land Tourismus. ^ "Experience nature in Bavaria's national parks - Bavaria Tourism". ^ (www.dw.com), Deutsche Welle. "Berchtesgaden National Park - DW - 27.07.2018". DW.COM. ^ "Kempinski Hotel Berchtesgaden - Reviews, Photos & Rates - ebookers.com". www.ebookers.com. ^ "Hitler's Eagle's Nest at Berchtesgaden by Rick Steves". www.ricksteves.com. ^ "Eagle's Nest Historical Tour". Berchtesgadener Land Tourismus. Wikimedia Commons has media related to Obersalzberg. Berchtesgaden is a municipality in the German Bavarian Alps. It is located in the district of Berchtesgadener Land in Bavaria, near the border with Austria. To the south of the city the Berchtesgaden National Park stretches along three parallel valleys, another notable peak is the Kehlstein mountain with its Kehlsteinhaus, which offers spectacular views to its visitors. Berchtesgadens neighbouring towns are Bischofswiesen, Marktschellenberg and Schönau am Königssee, Upper Bavaria, earlier Perchterscadmen, Berchirchsgadem, the word underwent a Latin distortion of Old High German parach, Romance bareca hay shed. After the basic meaning was forgotten, they added a variant word of Old High German gadem ‘room, one-room hut’, implying the same meaning, Old High German muosgadem ‘spice room’. First ever historical note dates back to 1102 and it mentions the area because of its salt deposits. Much of Berchtesgadens wealth has been derived from its salt mines, the town served as independent Fürstpropstei until the Reichsdeputationshauptschluss in 1803. 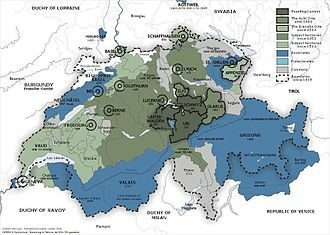 During the Napoleonic wars, Berchtesgaden changed hands a few times, such as in 1805 under the Treaty of Pressburg, Salzburg was always interested in Berchtesgaden, and French troops occupied the area a short time. 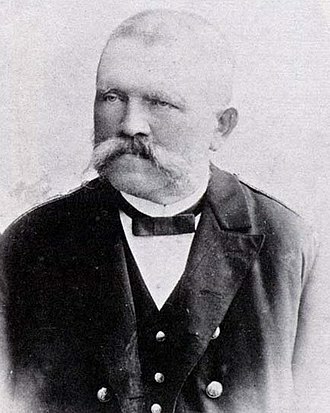 Nascent tourism started to evolve and a number of artists came to the area, the most famous author who lived in Berchtesgaden was Ludwig Ganghofer. 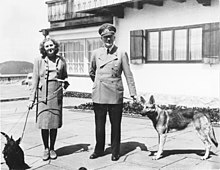 Adolf Hitler had been vacationing in the Berchtesgaden area since the 1920s and he purchased a home in the Obersalzberg above the town on the flank of the Hoher Goll and began extensive renovations on his Berghof in the following years. As other top Nazi Party leaders such as Hermann Göring, Joseph Goebbels, in order to serve as an outpost of the German Reichskanzlei and its environs saw substantial expansion of offices and support services, mainly on the Obersalzberg. 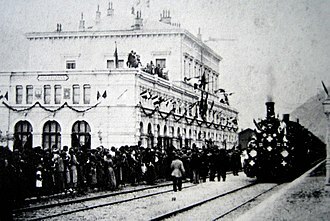 Included in the town were a new station, with a reception area for Hitler and his guests. The Berchtesgadener Hof Hotel, where famous visitors such as Neville Chamberlain, the Kehlsteinhaus atop the Kehlstein subpeak of the Hoher Goll was built as a present for Hitlers 50th birthday in 1939. Adolf Hitlers rise to power began in Germany in September 1919 when Hitler joined the political party known as the Deutsche Arbeiterpartei – DAP. 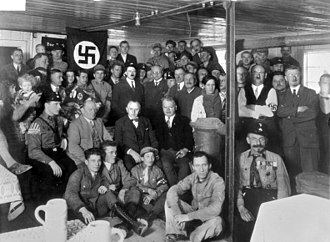 The name was changed in 1920 to the Nationalsozialistische Deutsche Arbeiterpartei – NSDAP and this political party was formed and developed during the post-World War I era. Hitlers rise can be considered to have ended in March 1933, President Paul von Hindenburg had already appointed Hitler as Chancellor on 30 January 1933 after a series of parliamentary elections and associated backroom intrigues. The Enabling Act—when used ruthlessly and with authority—virtually assured that Hitler could thereafter constitutionally exercise dictatorial power without legal objection, Adolf Hitler rose to a place of prominence in the early years of the party. Being one of the best speakers of the party, he told the party members to either make him leader of the party or he would never return. He was aided in part by his willingness to use violence in advancing his political objectives, the Beer Hall Putsch in November 1923 and the release of his book Mein Kampf introduced Hitler to a wider audience. 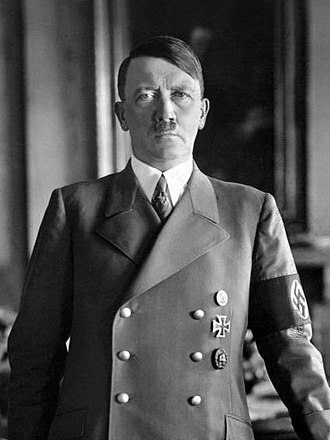 Hitler became involved with the fledgling Nazi Party after the First World War and he decided on the tactic of pursuing power through legal means. 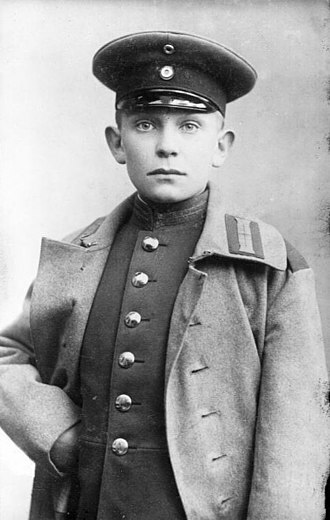 After being granted permission from King Ludwig III of Bavaria, 25-year-old Austrian-born Hitler enlisted in a Bavarian regiment of the German army, for over four years, Germany was a principal actor in World War I, on the Western Front. Soon after the fighting on the front ended in November 1918, Hitler returned to Munich after the Armistice with no job, no real civilian job skills and he took part in national thinking courses under Captain Karl Mayr. 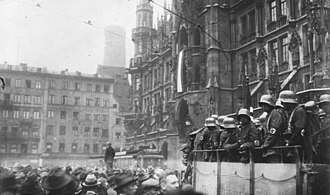 In July 1919 Hitler was appointed Verbindungsmann of an Aufklärungskommando of the Reichswehr, the DAP had been formed by Anton Drexler, Karl Harrer and others, through amalgamation of other groups, on 5 January 1919 at a small gathering in Munich at the restaurant Fuerstenfelder Hof. 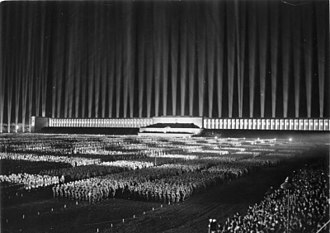 While he studied the activities of the DAP, Hitler became impressed with Drexlers antisemitic, the audience member asserted that Bavaria should be wholly independent from Germany and should secede from Germany and unite with Austria to form a new South German nation. The French 2nd Armored Division, commanded by General Philippe Leclerc, fought during the final phases of World War II in the Western Front. The divisions 14,454 personnel included men from the 2nd Light Division, escapees from metropolitan France, about 3,600 Moroccans and Algerians and about 350 Spanish Republicans. Other sources give about 2,000, official records of the 2e DB show fewer than 300 Spaniards as they hid their nationality, the division embarked in April 1944 and shipped to various ports in Britain. On 29 July 1944, bound for France, the division embarked at Southampton, during combat in 1944, the division liberated Paris, defeated a Panzer brigade during the armored clashes in Lorraine, forced the Saverne Gap and liberated Strasbourg. They all but destroyed the 9th Panzer Division and defeated several other German units, during the Battle for Normandy, the 2nd Division lost 133 men killed,648 wounded, and 85 missing. 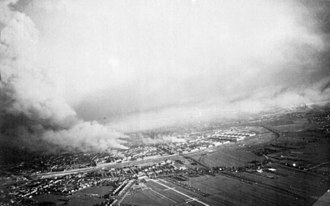 Division material losses included 76 armored vehicles,7 cannons,27 halftracks, the most celebrated moment in the units history was the Liberation of Paris. Eisenhower agreed to let the French armored division and the U. S. 4th Infantry Division liberate Paris. 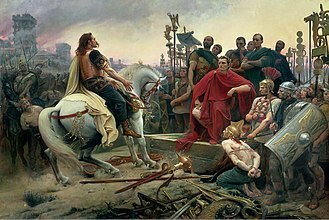 In the early morning of 23 August, Leclercs 2e DB left the south of Argentan on its march to Paris, a march which was slowed by poor conditions, French crowds. 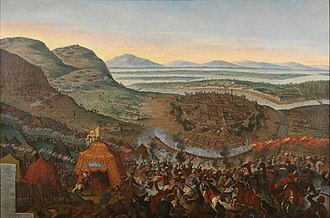 On 24 August, General Leclerc sent an advance party to enter the city. This party, commanded by Captain Raymond Dronne, consisted of the 9th company of the 3rd Battalion of the Régiment de marche du Tchad. 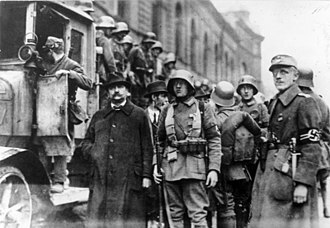 Dronne and his men arrived at the Hôtel de Ville, in the center of Paris, on 25 August, the 2nd Armored and the U. S. 4th Division entered Paris and liberated it. 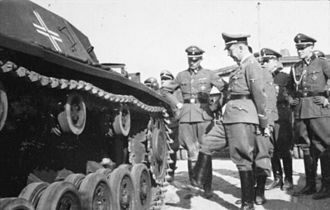 After hard fighting that cost the 2nd Division 35 tanks,6 self-propelled guns, and 111 vehicles, von Choltitz, the German military governor of Paris, capitulated at the Hôtel Meurice. 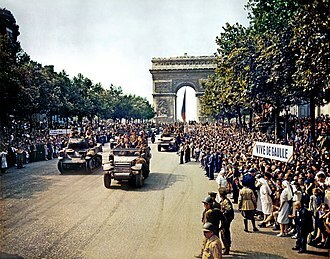 The following day,26 August, a victory parade took place on the Champs Élysées, which was lined with a jubilant crowd acclaiming General de Gaulle. The 2nd Division fought in the battles in Lorraine. The 3rd Infantry Division is a combined arms and light infantry division of the United States Army based at Fort Stewart, Georgia. It is a subordinate unit of the XVIII Airborne Corps. 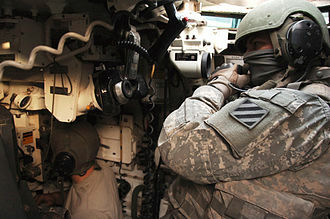 Its current organization includes two brigade combat teams, one brigade, a division artillery and support elements. The division has a history, having seen active service in both World War I and World War II. The division fought in France in World War I, in World War II, it landed with Gen. Pattons task force in a contested amphibious landing on the coast of Morocco, North Africa, overwhelming Vichy French defenders in November 1942. In 1943, the division invaded Sicily in July, and invaded Italy at Salerno in September, before fighting in France, Medal of Honor recipient Audie Murphy, featured in the Hollywood movie, To Hell and Back, was a member. The division served in the Korean War, from 1957 until 1996, the division was a major part of the United States Armys presence in the NATO alliance in West Germany. The 3rd Division was activated in November 1917, seven months after the American entry into World War I, at Camp Greene, eight months later, it saw combat for the first time in France on the Western Front. At midnight on 14 July 1918, the division earned lasting distinction, the 7th Machine Gun Battalion of the 3rd Division rushed to Château-Thierry amid retreating French troops and held the Germans back at the Marne River. General John Joseph Black Jack Pershing, Commander-in-chief of the AEF on the Western Front, during the war two members of the division were awarded the Medal of Honor. Casualties during the war were 3,177 killed in action with 12,940 wounded, commanders MG Joseph T. Dickman BG J. A. Irons MG Joseph T. Dickman BG J. A, irons BG Charles Crawford BG J. A. Audie Murphy, the most highly decorated American soldier of the war, the 3rd Infantry Division saw combat in North Africa, Italy, France and Austria for 531 consecutive days. During the war the 3rd Infantry Division consisted of the 7th, 15th and 30th Infantry Regiments, the 3rd Division, under the command of Major General Jonathan W.
Hitler in conversation with Ernst Hanfstaengl and Hermann Göring, 21 June 1932. 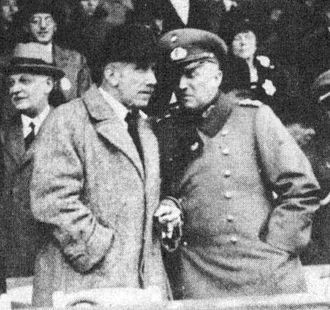 Chancellor Franz von Papen (left) with his eventual successor, the Minister of Defence Kurt von Schleicher. 1918 Traffic To Mont-St. Pere by George Matthews Harding AEF unit is the 3rd US Infantry Division.